The photograph shows a hand pouring coffee into a set of chutes that each lead to one of four cups. 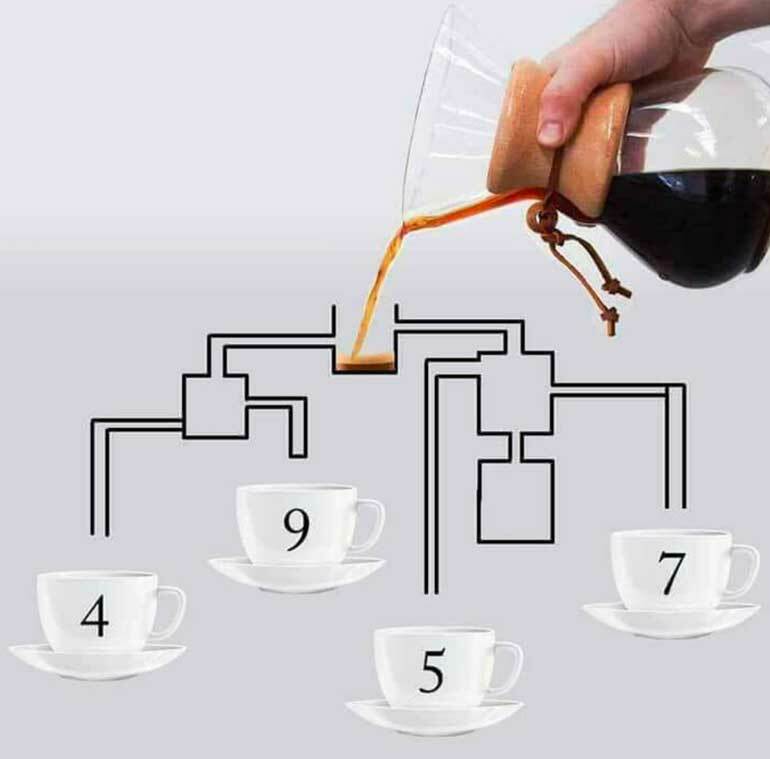 Your goal is to determine which cup will be the first to be filled with coffee. Did you try to solve the puzzle.......Was it easy? dang it.. i didnt see the end of the tube was blocked..